I don’t think there is such a thing as too much hot sauce, but this guy will disagree. Not even the cool Mardi Gras beads could protect him. 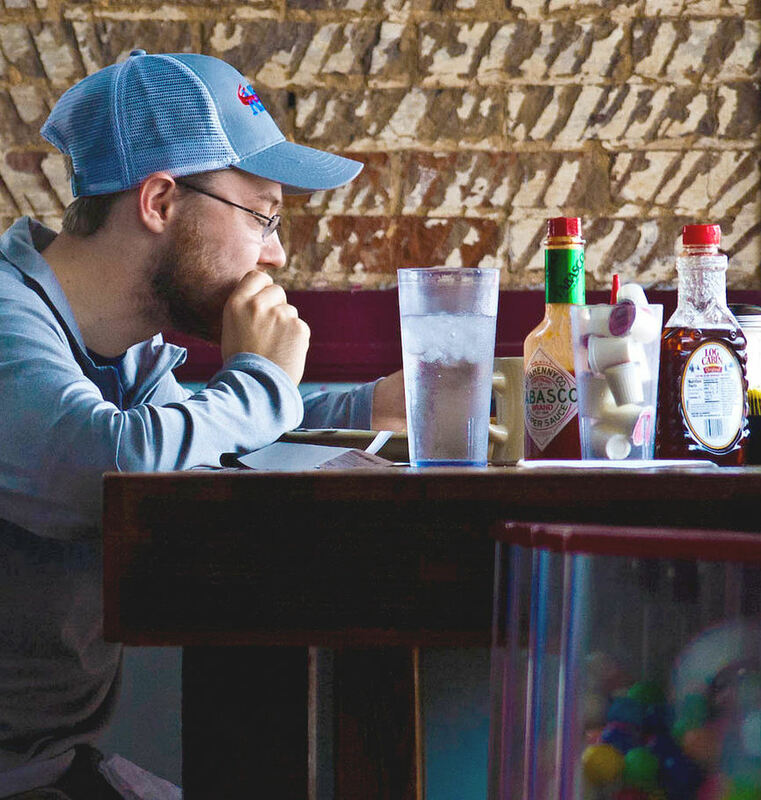 Notice he has all three of the Louisiana Hot Sauces… the Holy Trinity: Tabasco, Crystal, and Louisiana (Red Dot) Brand on the table in front of him. No establishment should have less. But that means you have to choose. Life is full of tough decisions. Though I have great respect for Tabasco, and like the Red Dot, I am a Crystal man myself. I’ve been watching what I eat with some success but sometimes I give in. Candy left a newspaper article in my office from last Friday – there is a new Cajun Restaurant in Richardson, Wicked Po’Boys. I couldn’t resist. It’s located in the Eastside development not far from where we live. 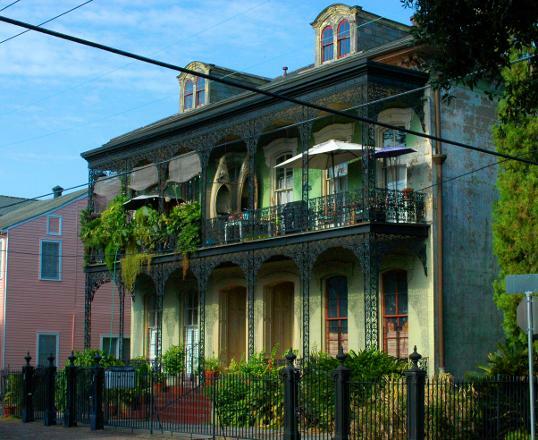 They have put up a bit of an iron balcony out front to try for a little New Orleans style. Not quite the Garden District, but a nice touch. 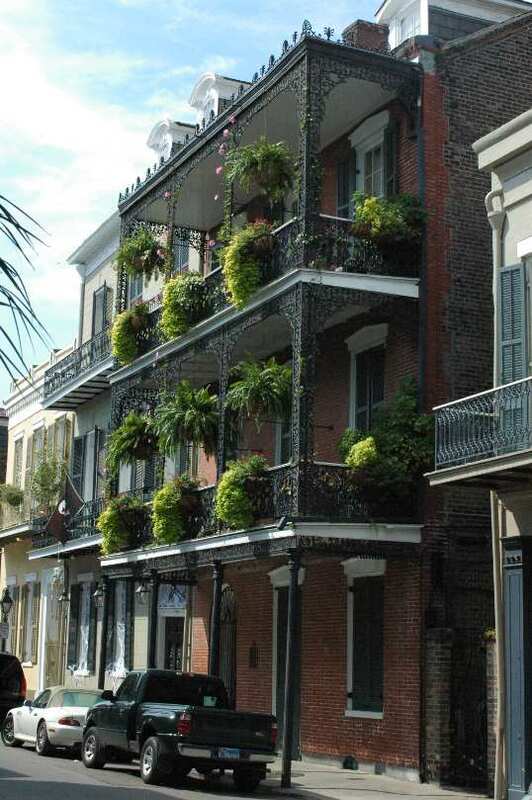 A real balcony in the French Quarter. 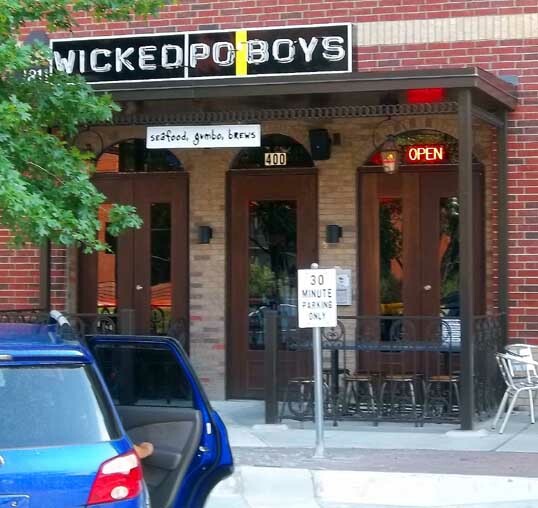 The place is long and thin inside – but attractive, with a big bar and a big menu. I ordered a grilled shrimp po’boy and an Abita Amber, Candy ordered a roast beef po’boy. 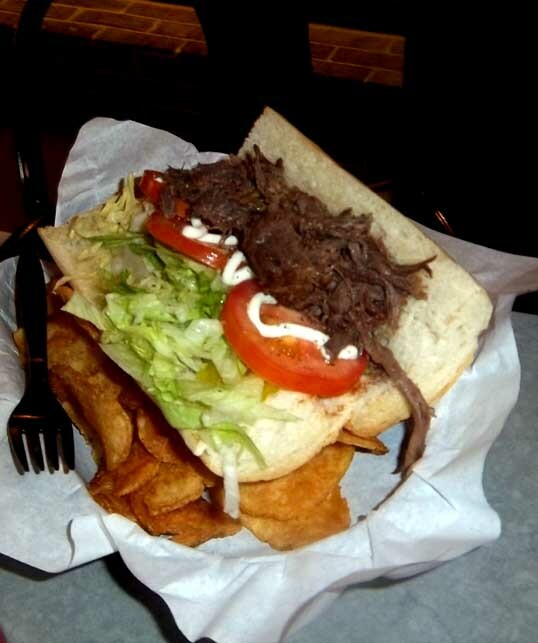 Most people think about po’boys and seafood (shrimp, oyster) but the roast beef or debris style is right up there too. Our sandwiches were greatness. I’m afraid we’ll be back. There are pots of gumbo that beckon. There are still oysters. 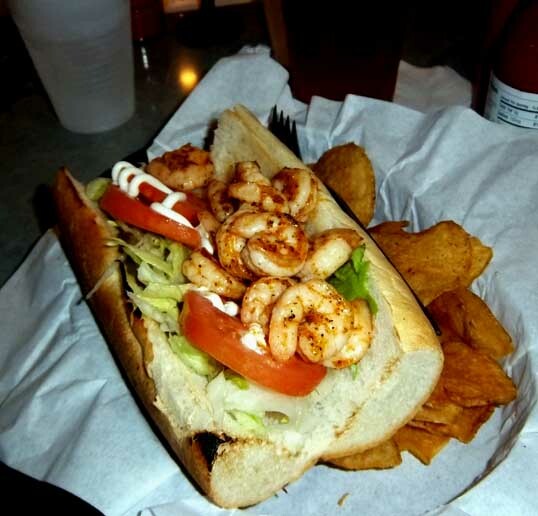 Now, if you are going to eat Cajun, you need to make a huge decision. There are a number of eternal “this or that” questions you must face during you short time upon this mortal plane. These questions must be faced and must not be shirked. Ocean or mountains? The book or the movie? Hot dog or hamburger? Paper or Plastic? Shaken or stirred? White or wheat? Boxers or briefs? Tea or coffee? Dogs or cats? Harry Potter or Lord of the Rings? Coke or Pepsi? Shower or bath? Chocolate or Vanilla? But the most basic question, the one that truly reveals the tint of your deepest soul, the most difficult conundrum of them all…. Now I know some folks will put Original Louisiana (the one with the red dot) there (and it is a worthy contender) instead of Crystal – but I’ve been to New Orleans and I know the truth. It’s Tabasco or Crystal. A tough choice. Here is the condiment rail at Wicked Po-Boys. 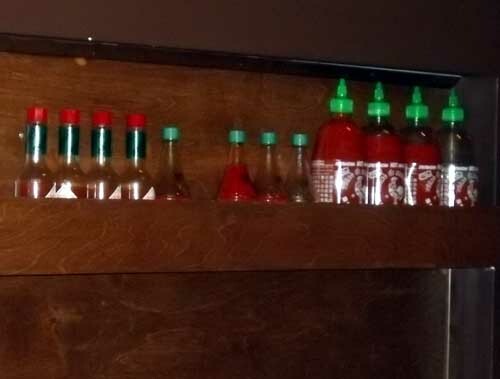 If you are a true hot sauce eater you will recognize the bottles from the shapes on the top. 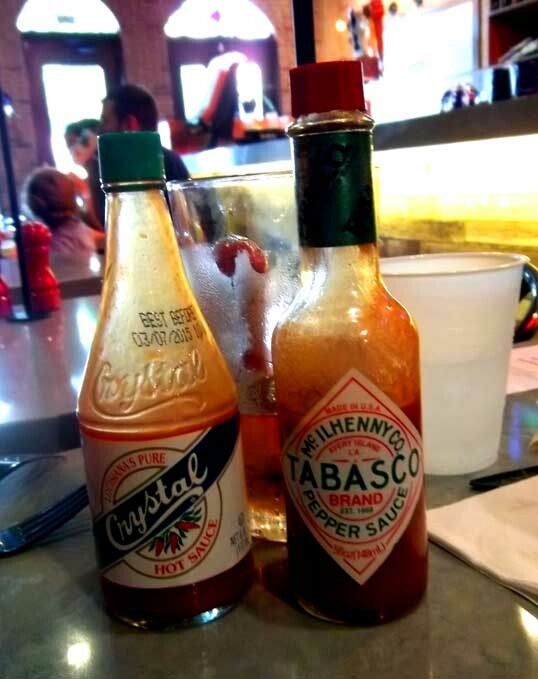 Now, I understand the duality of the Crystal and Tabasco choice. But, really in life, things do not come in twos. The duality of nature is an illusion brought on by our own weakness of perceiving the true nature of things. Life is not a duality – there are really three choices. 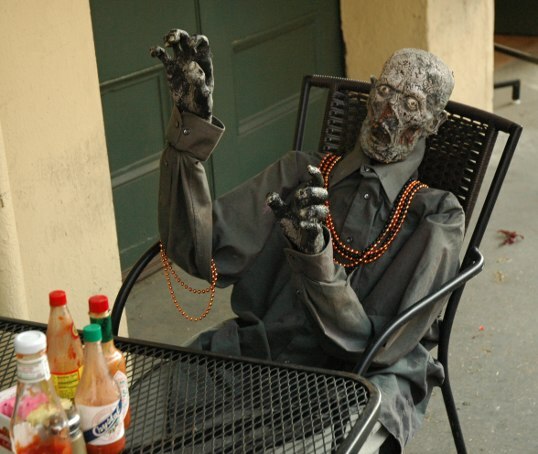 Wicked Po-Boys recognizes this deep philosophical truth by offering Sriracha. 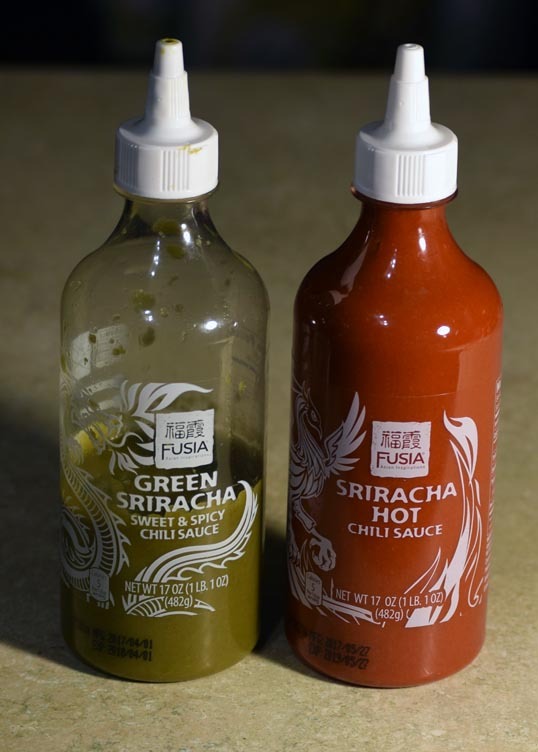 Oh, and in Richardson, you had better have Sriracha. 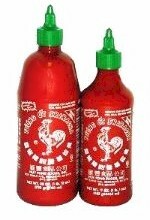 But, as much as I love the rooster sauce, I’m not quite adventurous enough to put it on Cajun food yet…. It’s not that I’m afraid as much as I’m not sure how to improve on perfection. Sometimes the classics are that way for a reason. So what did I choose? 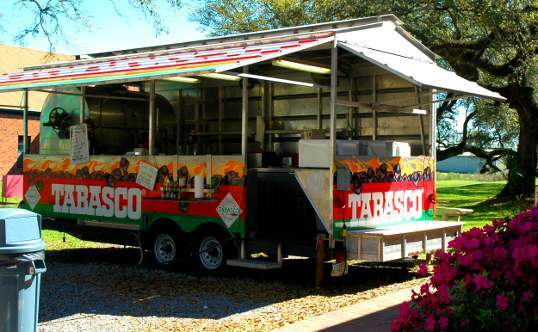 Ever since my visit to Avery Island I have held a deep respect for Tabasco. It is truly a culinary treasure. But it is also too vinegary. I respect Tabasco… but I ate the Crystal. By the way – take a look at the “best used date” on that bottle of Crystal in the photo above. You have to eat it by March 7, 2015. Don’t worry – it’ll be gone by then. Somewhere miles deep underground the dried salt remnant of an ancient sea is being squeezed by the unimaginable weight of the Mississippi delta building up above. All the loose mud from Ohio and Minnesota ends up washed downstream, piles up, and presses down. The salt becomes a sort of geological fluid and globs rise like pale columns in a crystalline subterranean lava lamp – reaching miles up until they almost burst forth under the starry sky. One of these salt domes sits under Avery Island – pushing the land upwards above the surrounding sea-level flatness. It is truly an island – a disk-shaped protuberance rising above… not the trackless sea but the feckless swamp – a bit of dry, elevated land looking down on the miasma and the bog. The salt dome rises and bears a number of gifts. There is the salt itself – mined or boiled from springs for centuries with only a short break when the saltwork was captured by Union troops during the Great War Between the States (as it is known in these here parts). There is the gift of petroleum – oil is dragged along and concentrated by the rising column until, like Spindletop to the west, a forest of derricks sprout up sucking at the black gold. And finally, there is the gift of high, dry farmland – rich and fertile. The Avery Island Plantation could grow pretty much any crop and – luckily for us – they chose a unique crop, grown from seed brought back from Central and South America… Hot Peppers. For Pepperheads and fans of spicy food Avery Island is capsaicin ground zero and a visit there, at least once during a lifetime, is a necessary pilgrimage – a hot sauce Hajj. 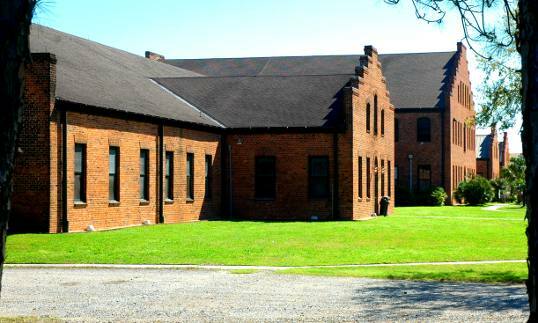 Avery Island is the home and only manufacturing facility of the McIlhenny Company – the maker of Tabasco Pepper Sauce. 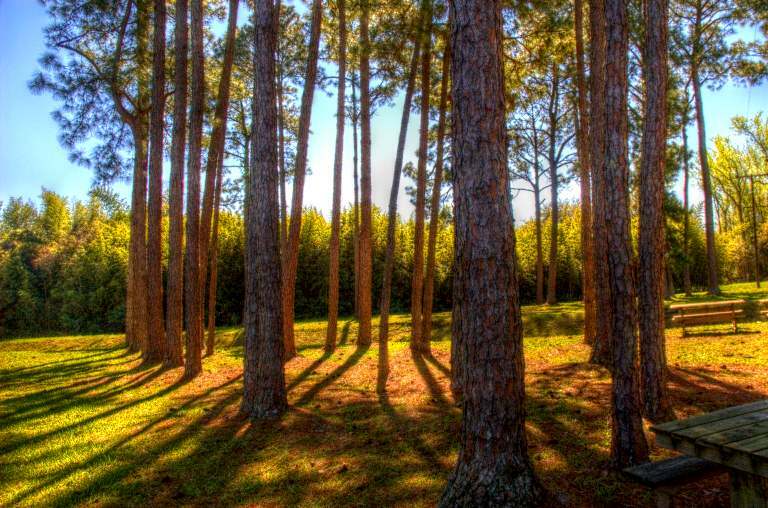 Every little red bottle – somewhere around 750,000 bottles a day – are made on Avery Island. We were going to drive back to Dallas from Lafayette, about a seven hour drive, but I wanted to go see the McIlhenny Tabasco factory on Avery Island first so we drove south instead and, after a couple of wrong turns, crossed the little wooden toll bridge (one dollar per car) onto the complex of green hills atop the salt dome. The first thing you notice when driving up to the factory is the smell. It is wonderful. It’s not a hot, painful tear-gas like capsaicin reaction like you might expect, but a mellow, complex warm feeling that envelops the whole complex. First, we took a tour of the factory. You get a lecture; watch a film, then walk past the filling lines behind a glass wall. It was a Sunday, so the filling lines weren’t running, which was fine with me – I’ve seen plenty of food filling equipment filling food in my day. It was good enough to be standing behind the glass looking at the place where all the goodness happens. At the end of the tour was a little museum with facts about Tabasco Pepper Sauce. I already knew most of it, having seen it on the How It’s Made television show. 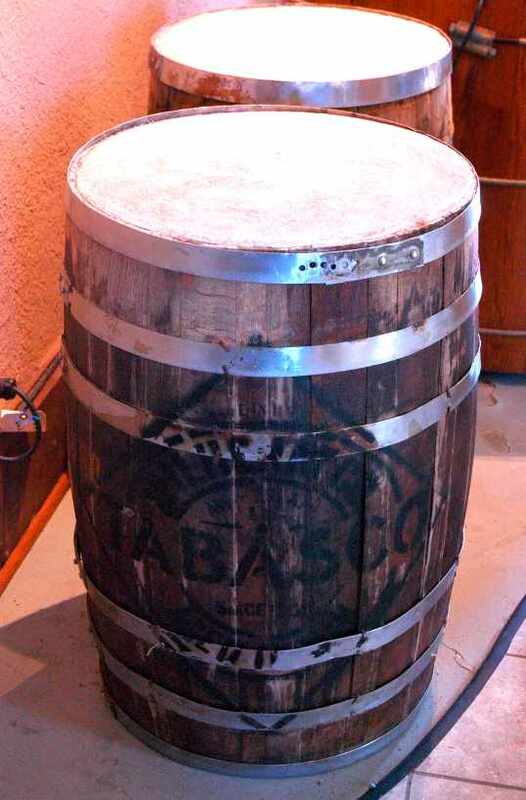 The most amazing thing about Tabasco is that the ground up peppers are aged in second-hand whisky barrels and allowed to ferment for three years before being mixed with vinegar, blended, and bottled. The barrels are covered with a layer of Avery Island salt while they age. 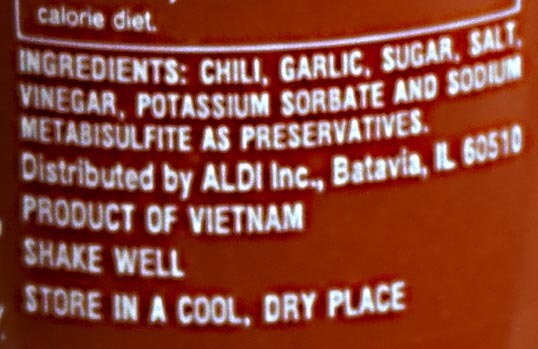 Ground peppers (the seeds are developed on Avery Island, though the peppers are grown in Latin America), water, salt, and vinegar… that’s it. To help the pepper pickers pick the perfect peppers they are given le petit baton rouge – a little red stick. This is painted the color of a perfectly ripe Tabasco pepper. Then we walked across to the Tabasco Country store and bought our share of touristy knick-knacks and hot sauce products. I looked long and hard at the gallon jugs of hot sauce with the plastic pumps – and was able to resist the siren song. They had a sampling table with all the different flavors, including one I have never seen before – a chipotle raspberry sauce (I bought a bottle). 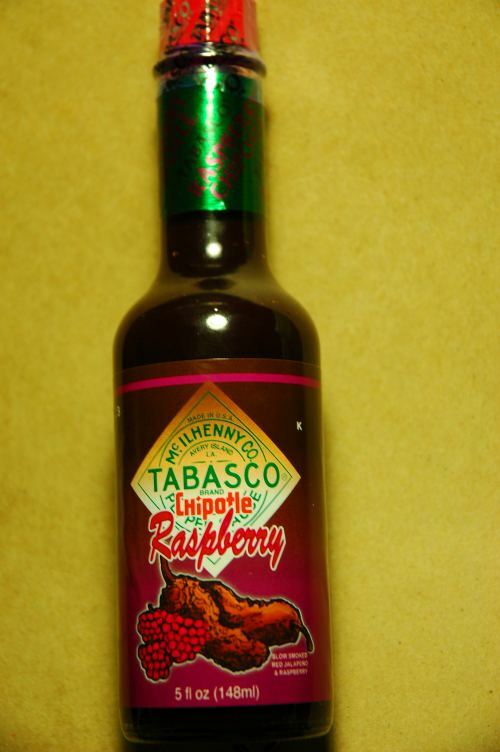 There is no reference to this chipotle raspberry Tabasco anywhere – it’s a bit gimmicky, but it tastes good. They also had spicy cola, two flavors of ice cream, and anything else you can imagine – plus a few you can’t. Candy bought some stuff for Nick (he loves Tabasco) and a bag of cooking wood made from their broken fermenting barrels. One odd thing I did buy was a big ziplock plastic bag of pure pepper mash. I’m not sure what I’m going to do with it, but it makes every room smell wonderful. I took a walk around and snapped a few pictures, like a good tourist. 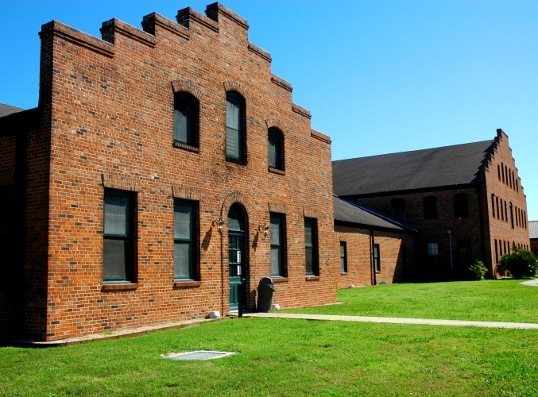 Down at the end of the factory were some long brick buildings – these must be some of the fermenting warehouses where the sauce ages for three years in those oak barrels because the odor wafting out of the vents was unbelievably wonderful. One must have been the Chipotle warehouse because I could detect a smoky note in the air. We had planned on stopping by a tony Cajun restaurant north of Lafayette on the way home, but there was a little trailer set up next to the country store selling red beans, rice, and sausage from crock pots. Of course, there was a large selection of spicy condiments available for testing. I doubt the expensive restaurant had anything on the five dollar foam cup of red beans that I gobbled down with dabs of at least seven different Tabasco sauces on different nibbles. There is a lot more to Avery Island – the Jungle Gardens and the Bird City went unvisited by us. We had a long drive ahead and couldn’t tarry. I’ll be back though, to smell that smell and explore some more. Once is not enough. The factory has this crazy bayou gothic look to it. The recycled whisky barrels with salt on top. The mash ages in these for three years. 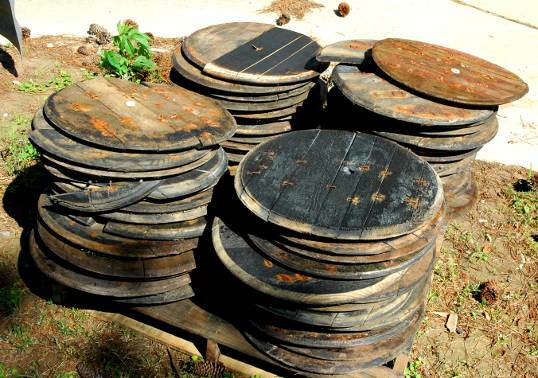 Walking around, I found this pallet of old barrel lids after the peppers have been aged. 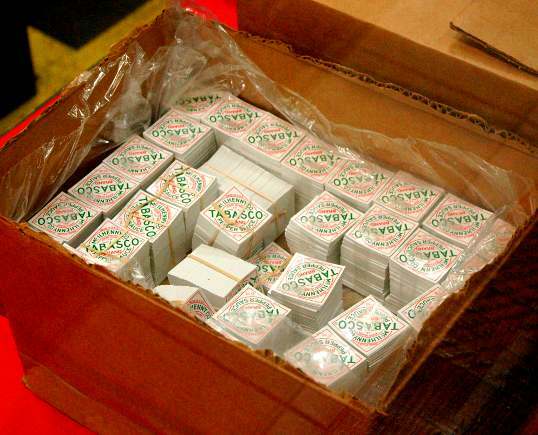 A box of labels from the filling line. The food stand - great beans, rice, and sausage. I haven't seen or read about this anywhere else. Black girl, black girl where will you go?